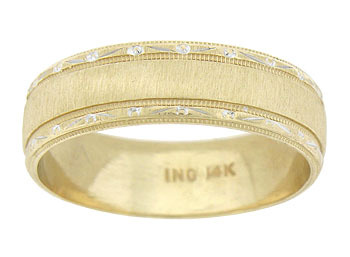 Organic engraving and impressed milgrain accent the edges of this 14K yellow gold wedding band. 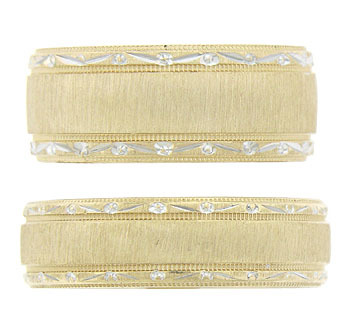 The jewel cut engraving reveals a sparkling white gold. Shown with a matching band WB3113 (sold separately). 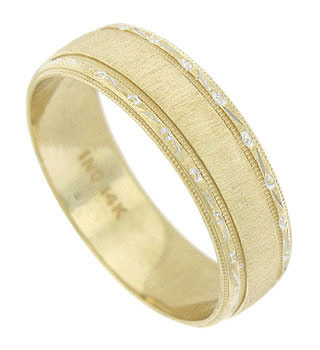 The antique style ring measures 5.94 mm in width. Size 9. We cannot re-size.